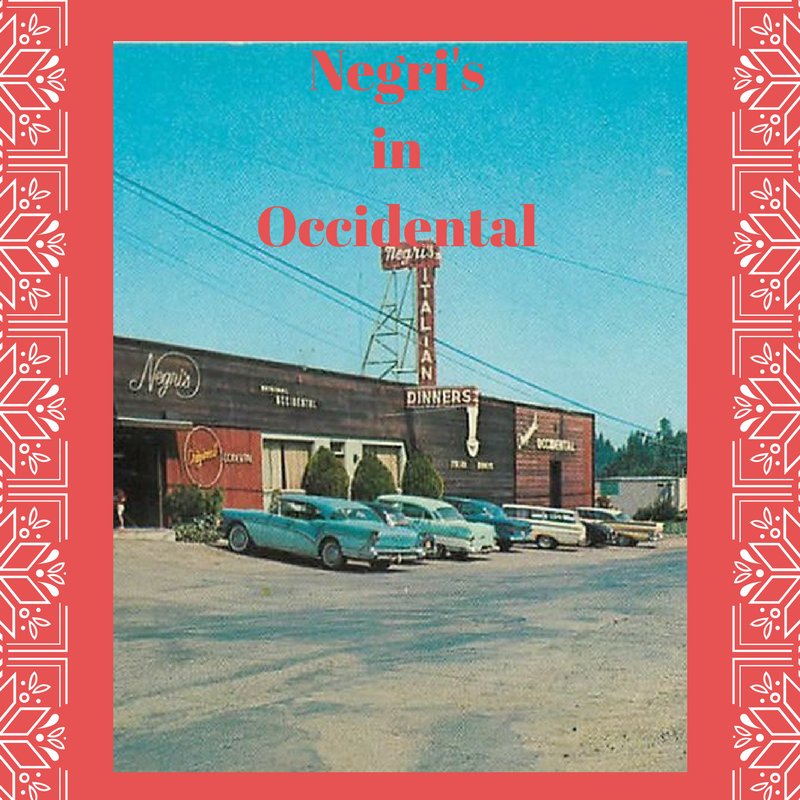 Negri’s Restaurant in Occidental came to be when Joe Negri Sr. crossed the Atlantic and left the canals of Venice behind. After landing on Ellis Island, he soon found a job cooking at the Waldorf Astoria Hotel in N.Y. where he caught the attention of Rudolph Valentino. Joe soon became Valentino’s personal chef, traveling to San Francisco. 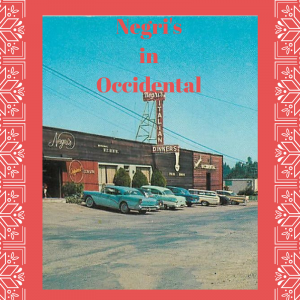 Mr. Negri later moved north to Occidental in 1938 and purchased the site where Negri’s rests today. His wife Theresa cooked while Joe ran the bar. He always had a quarter and a joke ready for the children as he traveled through the dining room to greet customers. Joe passed in 1970 and Theresa left us in 1994. Today Evelyn Negri, her daughter Sandy, and her grandchildren Amanda and Tori take care of the family legacy. 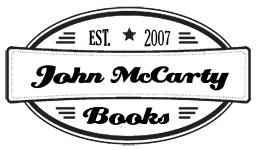 In the bar at Negri’s Restaurant, you might catch Nick Gravenites (Electric Flag & Big Brother and the Holding Company) strumming his blues guitar. The background music sets the tone for the family-style dinners, which are still served on red-and-white tablecloths, decorated with old Chianti bottles dripping with wax. The meal includes minestrone, ravioli, antipasto, salami and olives, salad and French bread along with your entree. The raviolis slide off your taste buds, not chewy like the traditional al dente style at the Union Hotel across the street. They are a blend of beef, pork, Swiss chard and herbs and are my personal favorite. But let’s be honest. All of the above is just an excuse to try one of their fritters. These treats consist either of two whole apple rings or a fresh banana, which are dipped in a homemade sweet batter, deep fried to a golden brown and dusted with powdered sugar. Let the heart attack begin!